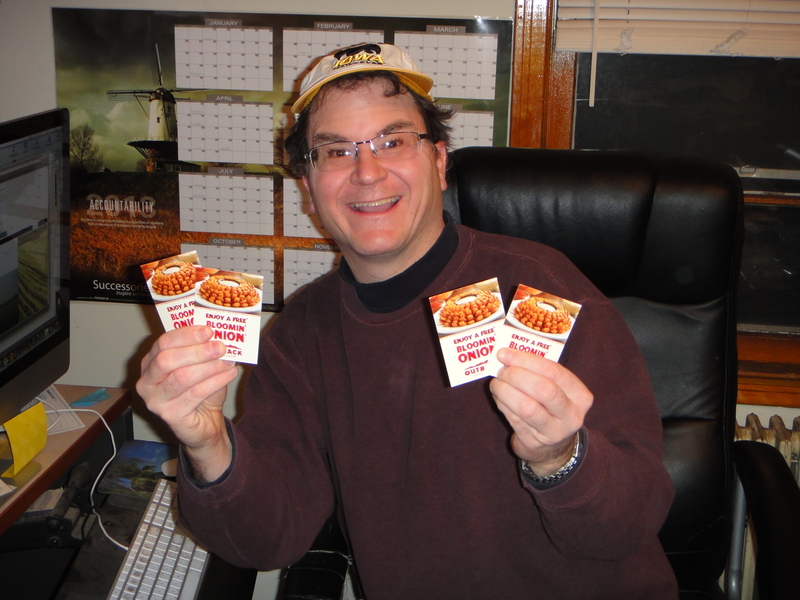 The Great Muckville Blog Free Bloomin’ Onion Essay Contest! 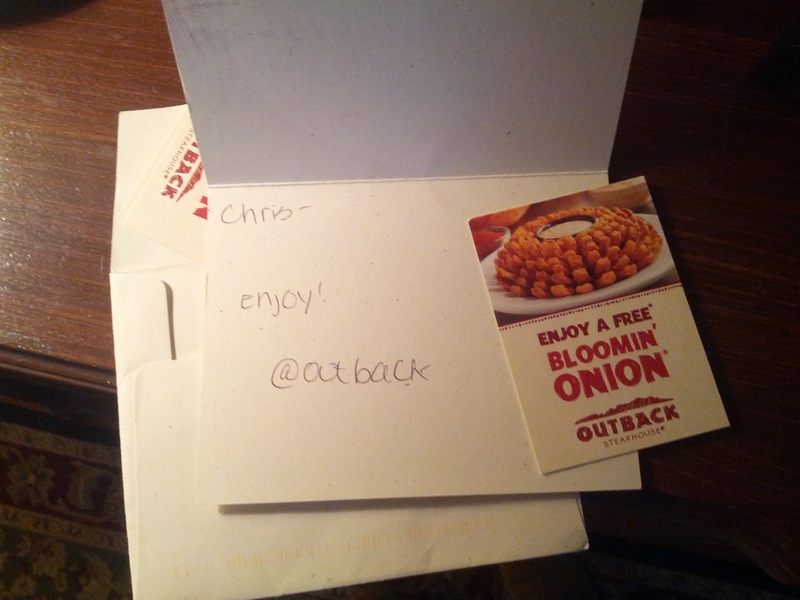 Back on Sunday December 8th it was formally announced that Iowa would play LSU in the Outback Bowl and that night I launched a campaign on this blog and on Twitter for Outback to give me a free Bloomin’ Onion for being a 4th generation family onion farmer who is also an Iowa alum! 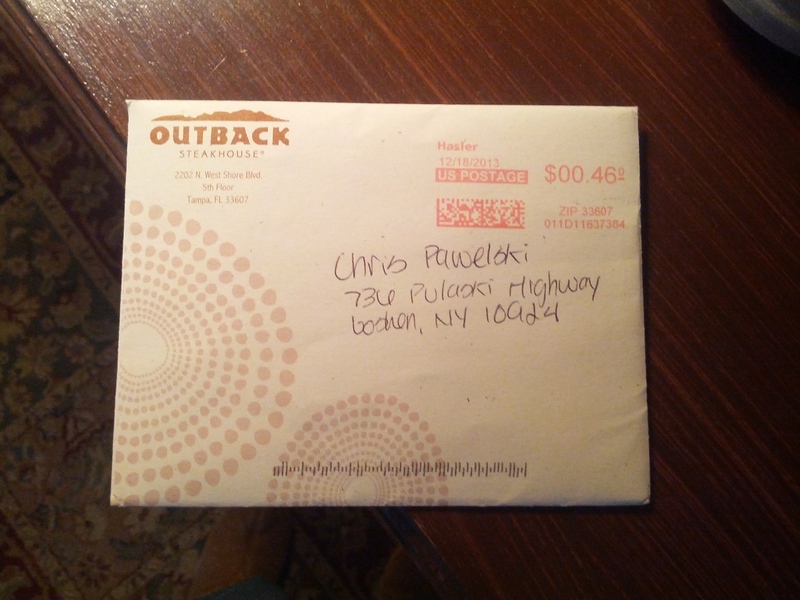 A mere 6 days later, after a handful of blog postings and a number of tweets I was followed by Outback on Twitter and contacted on Twitter. 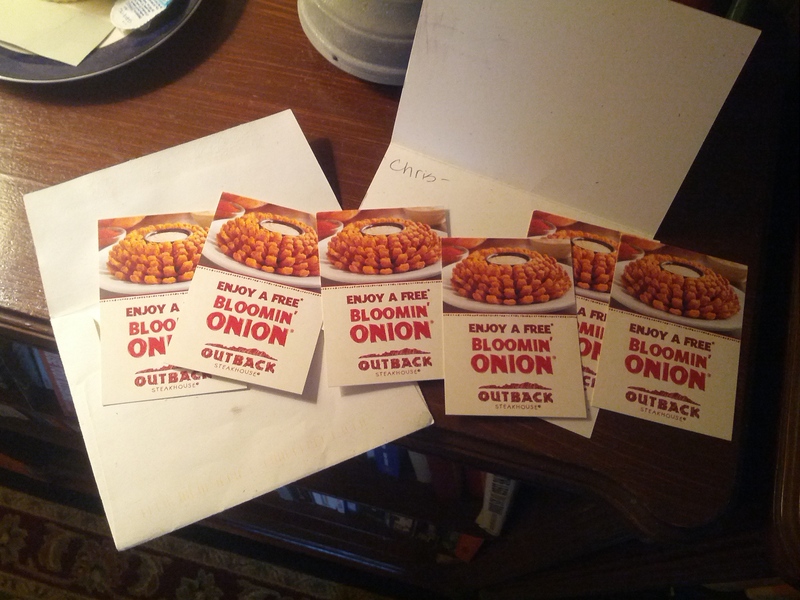 Not only did they agree to give me a free Bloomin’ Onion certificate, they actually gave me 6 so I could give the others away on my blog! 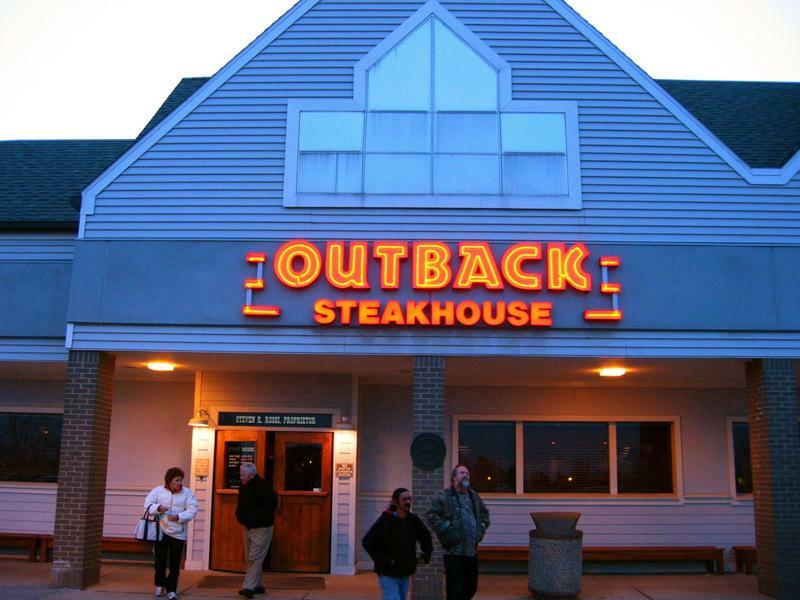 On December 23rd I gave the first certificate away to my dad, because he said he wanted to go to Outback and try a Bloomin’ Onion, since he has never had one. So, since he is my dad and does a lot for me, I gave one to him. For the last few weeks I have struggled though with how I would give away the remaining 4 certificates. Trivia questions are easily solved via Google and didn’t seem all that interesting to me. Then, while sitting in bed and fighting off a headache it hit me … an essay contest! E-mail your essay to: evep@warwick.net. Please include your snail mail address so if you are a winner I can mail you the certificate. All 4 chosen winning essays will appear on my blog! So, get those creative juices flowing and e-mail me those essays! Since I am in the midst of my Crowd Funder Show campaign to fund an editor for my memoir … I had to mention it! Please support my Crowd Funder campaign for raising funds for a professional editor for my memoir. For every dollar you contribute you get a matching dollar for dollar gift card from places like Best Buy, Sears, Home Depot and Toys R Us, amongst others. Can you support a small family farmer who does public policy work by getting his memoir ready to be published? 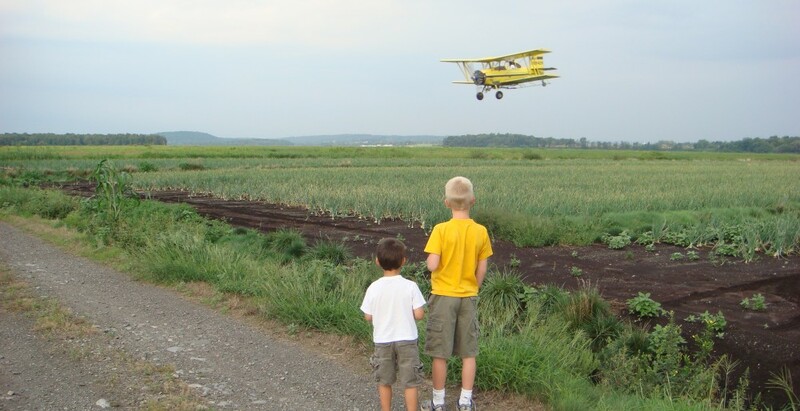 This entry was posted in Uncategorized and tagged #GivingTuesday, 4th generation onion farmer, Best Buy, black dirt, Bloomin' Onion, buttery hands, charity, Chris Pawelski, complimentary Bloomin' Onion, contribute, corporations, crop insurance, crowd funding, customer service, disaster aid, essay contest, Eve Pawelski, farm, farmer, farming, Farmroot, fruits and vegetables, giving back, Giving Tuesday, Goshen New York, Hawkeyes, Home Depot, Iowa alum, Iowa Hawkeyes, Kickstarter, LSU, Media, memoir, muck, Muckville, Muckville: Farm Policy Media and the Strange Oddities of Semi-Rural Life, Nick Saban, onions, Orange County New York, Outback Bowl, Outback Restaurant, Pawelski Farms, public policy, Richard Pawelski, Sears, social media, specialty crops, Starbucks, thank you, The Crowd Funder TV Show, Twitter, University of Iowa, vegetables, vegetables and fruits, Washington DC by chrispawelski. Bookmark the permalink.